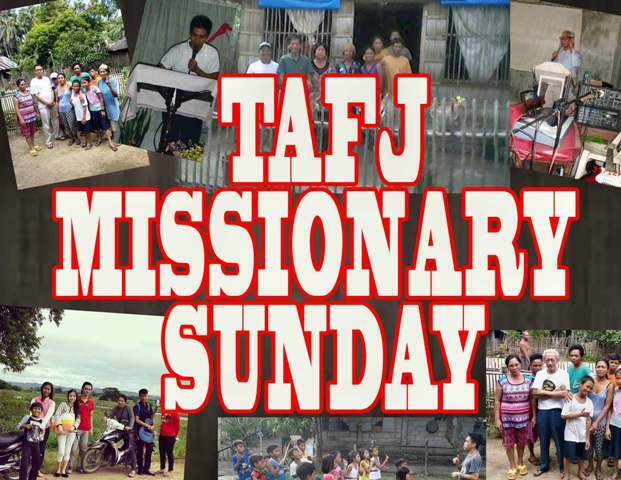 The Lord Jesus Christ bless TAFJ Youth Ministry for the success of the Feeding Program at TAFJ Las Pinas. I really miss this kind of activity of touching the lives of our fellow Filipinos spiritually and materially with the love and compassion of our Almighty Lord God Jesus Christ for His glory. 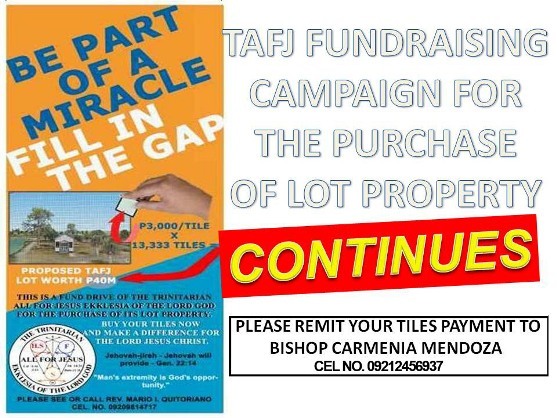 Miss, too, my brothers and sisters in the Lord Jesus Christ of TAFJ Ekklesia of the Lord God, Las Pinas City.� I’m still praying for this church. Best regards and love to all my Christian family there.